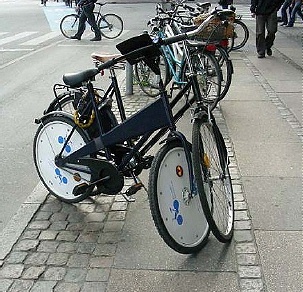 Bike design- Copenhagen bike share system 2008. Photo by Jack Becker, Third Wave Cycling Group. I avoid fixed stationary exercise bikes –and we have them in our home building’s fitness centre. I avoid them at most hotels where I have stayed even if they have adjustable saddle height. Still this feature did not improve the fit. After grinding painfully twice, each time on a different model in a different facility, I gave up after 10 minutes. After one experience, my arms ached for the next 2 hours. I was already a regular cyclist on my bike outside several times per week for a few years and familiar with good bike fit. What is thought to be ‘average’ bike geometry is a bike design where often the top centre tube is too long for short limbed folks and there is no provision to shorten handlebar set distance closer to the saddle. I am 5’1” (155 cm) . 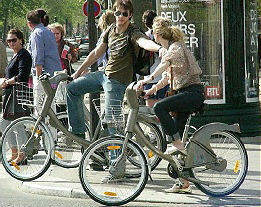 Bike design- Velib bike share. Paris, France 2008. Photo by Jack Becker, Third Wave Cycling Group. However there are many people who have similar problems even if they are several inches taller. 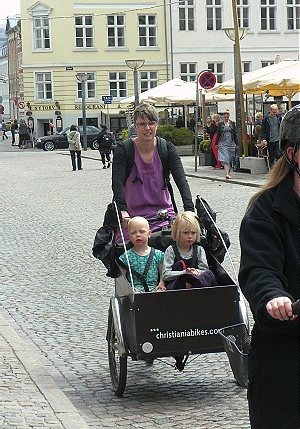 Since their arm length is short, they are overstretched when seated on a regular sized bike. Many women observe this problem when hunting for their first or next bike. 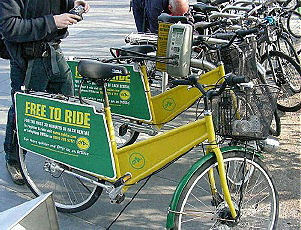 Bike design- Velo'v bike share. Lyon, France bike 2008. Photo by Jack Becker, Third Wave Cycling Group. 2013 after they announced the winning design in Dec. 2009. 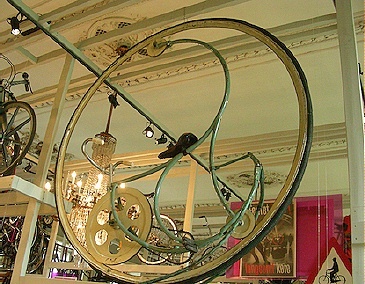 Some designs were cool bike ‘eye candy’. 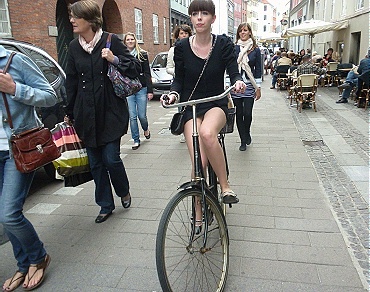 Yet one wondered about the practicality and cycling comfort for many designs. 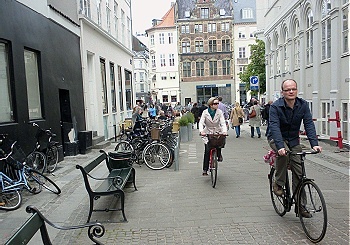 Aesthetic fit to the city’s milieu was one of Copenhagen’s bike design competition criteria. Over the years when I rent a bike, adequate bike fit is helpful. After renting different bikes for a day ride or so in Portland, Seattle, Calgary, Montreal, Hawaii, Nantucket Island and Vermont, I have experienced various bikes. Sometimes there was no choice at the rental shop. Good bike fit will make any bike ride more enjoyable and liberating, no matter how unfamiliar your surroundings may be in whatever weather conditions. Good bike fit avoids much pain in the knees, back, hands, arms and legs. Good bike fit reduces the effort of cycling. Good bike fit will not cause people to say they will not cycle again because of pain and effort. Good bike fit enables the rider to forget bike fit. It needs to be quickly forgettable in order for the rider to focus instead, on performance of their body, the traffic and surroundings around them. 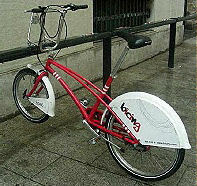 Bike design- Bicing bike share. Barcelona, Spain 2008. Photo by Jack Becker, Third Wave Cycling Group. Bike ‘fit’ is a relative word in current bike share systems. Existing city public bike share designs worldwide, integrate design features with built-in payment, time-tracking and locking mechanisms. 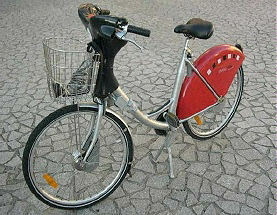 Present bike share systems offer a set free time period, often within the first half an hour. This amount of time is deemed adequate for short trips in urban core areas before paid time period is activated. Depending on the cyclist’s capability, trip route configuration and traffic volume, trip distance would be approximately 7-10 kms. during the free half hour. In the City of Vancouver, the average commuting one-way trip is 5-10 kms. 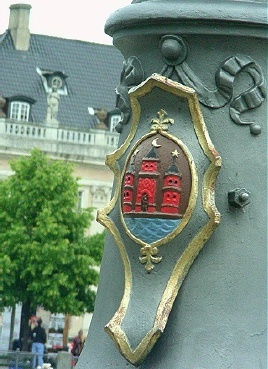 within its city boundaries. (City of Vancouver, Engineering Services). Perhaps it is the short bike trip rationale that drives bike designers to create a one size bike design with very little or no bike component adjustments for public bike share systems. The bike designs submitted for the latest Copenhagen competition, seem to support a perceived lesser need for a flexible bike fit compared to cost-oriented factors of bike durability and security to control damage and loss. Bike design- OyBike share. London, UK 2008. 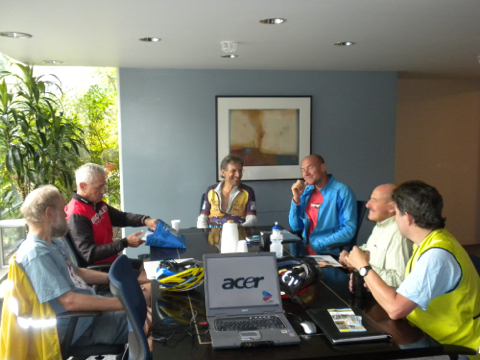 Photo by Jack Becker, Third Wave Cycling Group. downtown Vancouver. After all, the target market for bike share systems includes a broad range of users who may not be frequent cyclists or indeed, engaged in regular exercise. If a bike share system is to encourage redirecting urban car use to cleaner transportation and reduce road congestion, then bike share makes a lot of sense. Bike share systems should inspire more people to embrace cycling by acquiring their own bike later. 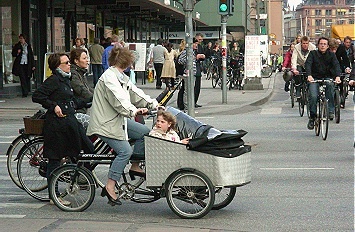 However the limited fit of current bike designs for bike share systems may only appeal and convert some people to regular cyclists later. reasonable light bike weight- lighter bike compensates abit for other bike fit problems. front basket- just a map holder is inadequate. Not everyone thinks of wearing a knapsack. Not all people like strapping on a shoulder bag across their back or front. 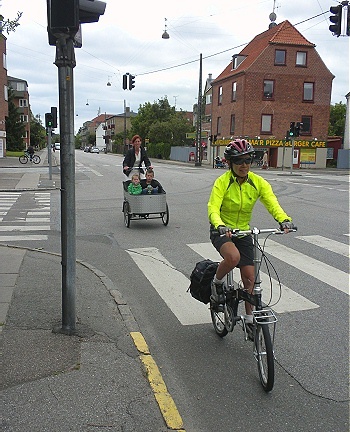 A weighted shoulder bag shifts across the body while on bike and gets in the way. 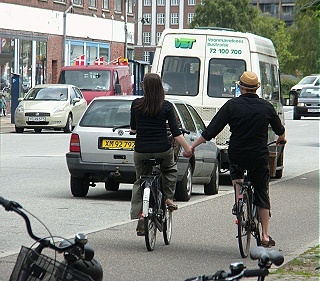 Take a look at the 2009 Copenhagen bike share design ideas. 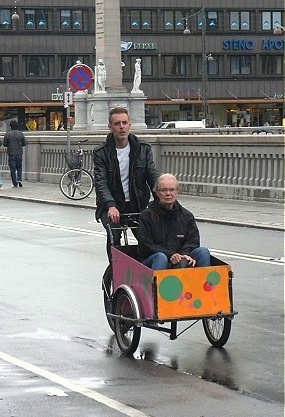 We have included bikes that J. Becker and R. Campbell of Third Wave Cycling Group, saw during their 2008 visit to the captioned cities with bike share systems. 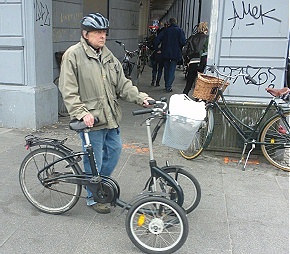 There are some intriguing bikes but for a more satisfying ride, an adjustable bike design, will surely draw more converts to cycling as a sensible transportation vehicle for urban trips to stores, cafes, services and nearby parks. 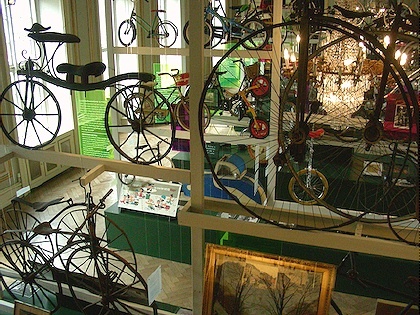 CPH Bike Share Competition: All Entries. 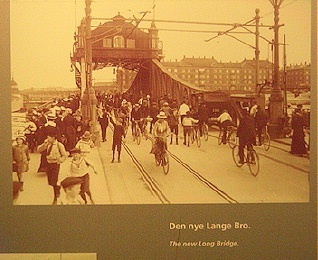 City of Copenhagen. Dec. 2009. See under ‘Original site’ to view competition goals and evaluation criteria.